Hey, here’s an update regarding the future of BuildCraftia. We had a lengthy conversation about the server’s future yesterday and we want to share some of the thoughts with you. The player count has been extremely low for a while now, mostly caused by the busy school year and some other odd events. We have our hopes up that the summer is going to boost our player count significantly when school’s out. We have plans to try get more players joining the server, this includes heavy advertising in social media and some other, more secretive plans and actions. We have been working on the banner menu for some more, and we decided to add some more banners. There is a new “Flags” section with a few flags in. Now we need your help getting our banner menu filled! More info can be found on thread provided below. Please follow the banner suggesting format provided. Thanks for reading and happy suggesting! Introducing the Banner Menu: a tool for getting great banners without the hassle of crafting. We want to provide you, the community, the best tools possible! You can access this magnificent menu by running the /banners command on the Creative server. All players have access to this. We only have the alphabet in the menu, and this is just the start of what we have planned for the Banner Menu, but we also need your help. We’ll be creating a thread, where you can suggest your banners to be added to the banner menu. These will be neatly organized into sections, just like the /heads menu. If you ideas, suggestions, please forward them to us! Thanks for reading, and have fun time creating in BuildCraftia! 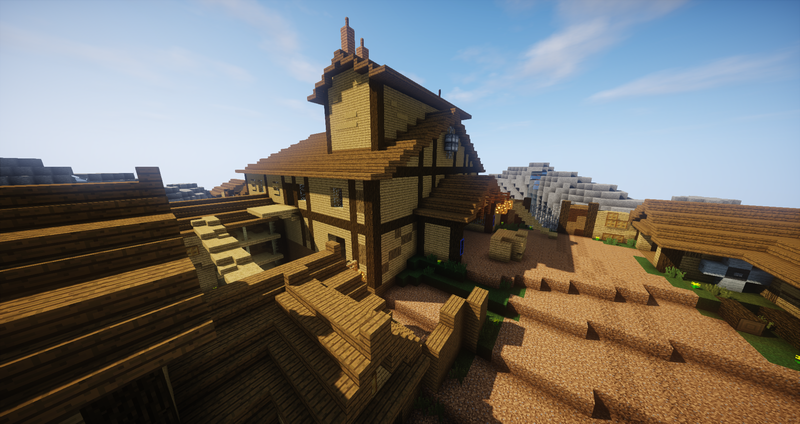 There are a lot of awesome builds on the server, and we want to show them off to the world! The most popular place to post your builds is PlanetMinecraft, of course. Our penguin servants have received some information that there is a new feature on PlanetMinecraft which lets you tag the server you have the build on. You can also tell viewers how to access your build. This will make it easier for us to spot your builds, and easier for viewers to come check your build on our server. Maybe some of them are willing to give you some help building! 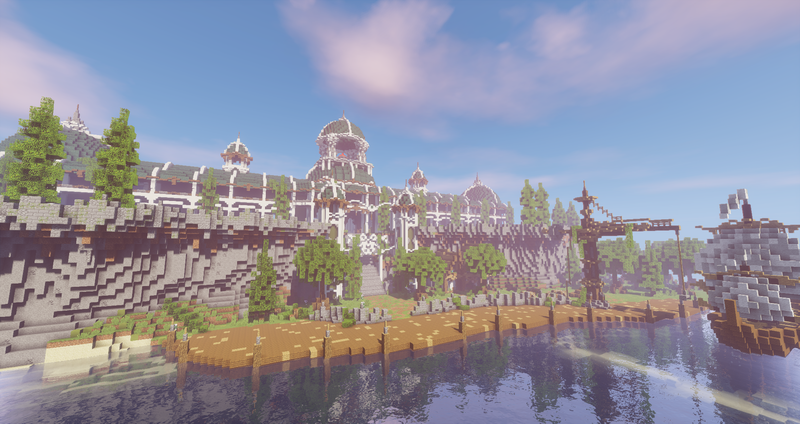 We want to encourage you to post your builds on PlanetMinecraft for us to see! We will be sharing the best builds in our social media (Facebook, Twitter and Instagram). 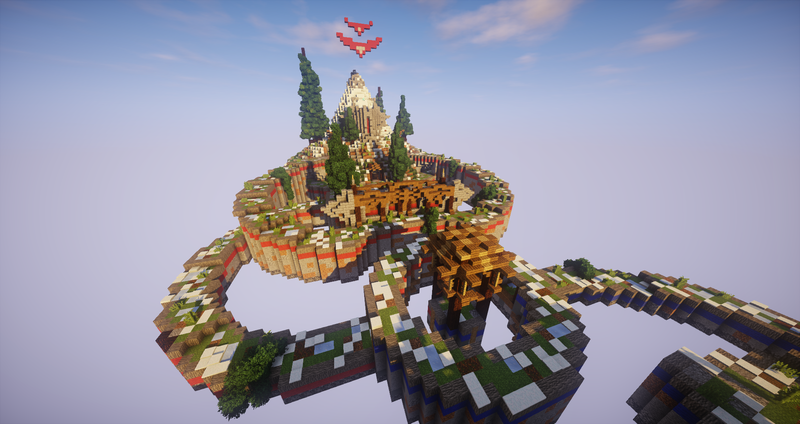 Your PMC submission will be linked as well! Thanks to your feedback in the Destroy The Core map survey, we were able to make our maps better! There has been some changes, so hear me out! Two new maps are introduced in this update. Some of the maps were edited to enhance the gameplay. Avalanche has received a new look but the main features are still in place. The map is now more lush with trees and bushes. The roads also received an ice cover to make your journey around the map faster. Spawns and the mountain also received a visual update. The cores were way too close to the spawn, so they were moved higher up. Today we are bringing you somewhat sad news. You may have noticed a decrease in development speed lately. Our developer, Leo, and myself are really busy in real life and maintaining and developing the server has gotten harder and harder for us. It feels like there is no more free time after our jobs and real life tasks. We were thinking about shutting down the server, but that didn’t seem like an option. We also thought about bringing back Arcadia to help make development faster and more organized, but that didn't seem right either. Not after everything that did to us. We love the community and the dedication our players are putting into the server. We have been thinking about solutions to this problem and have finally come up with a solution. We have received a lot of good feedback about our Destroy The Core. If did leave your answers, thank you so much! You have helped us to improve our games and experience overall. We are going to take an action to fix some of the general issues. Some of the maps are also going to receive a visual update in the near future. There were some general concerns and questions we want to answer here. The maps are too big! We are aware of this problem and there is only one reason for this: we do not have enough players for a well-balanced and intriguing game on these bigger maps. The minimum player amount is there for a reason. Of course, staff is always ready to start the game for you, if the limit is not reached, and you want to play. Yes, we have noticed the same problem and we are working on it. As some maps are getting a visual update, we are updating the core locations in the maps where needed. It’s been quite a while since our last update. Here is some important news and things from the past couple of weeks to a month. We are planning to render Creative soon, so stay tuned for that. Unfortunately, for the sheer size of the map, we are only able to do around 10,000 blocks or so around Creative spawn. We are thinking to update the maps once a week and adding waypoints for all warps. 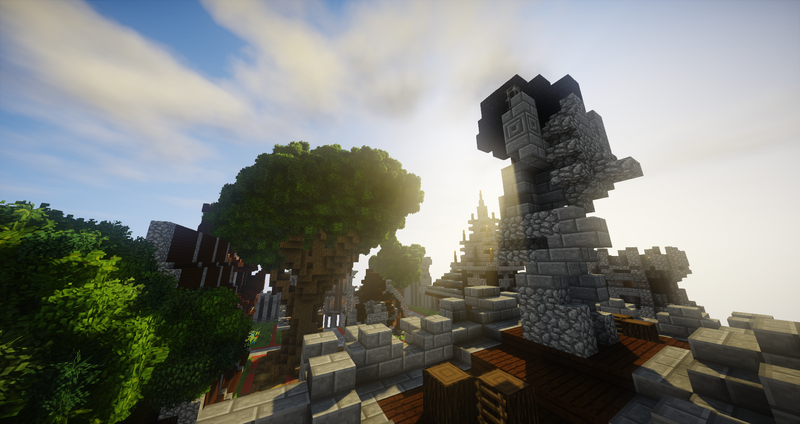 we have released the new Survival spawn as well as some other minor changes to the game-play. We thought it would be wise to put everything in one place. The new spawn holds the general information about the server, the player market as well as the admin shops. You can no longer access to old spawn, as it has been unloaded from the server. If you had a shop in the old market, a refund of $5,000 should have been added to your balance. The new market holds 80 shop slots, so there’s plenty of space. The new shops are slightly smaller than the old ones, hence their reduced price at $4,000. The good spots are taken fast, so be sure to get yours now! We have changed the admin shops to be less overpowered. There is fewer shops than before, but you can now buy some new items such as elytras and shulker boxes. More information about admin shops and their contents will be added soon.